realized book sending, paper cutting, pasting, folding, packaging, label sticking and other processes . 1.This machine adopts the servo motor and the pneumatic drive as the main body, using the multi-function digital frequency conversion stepless speed regulation, PLC programming control technology. 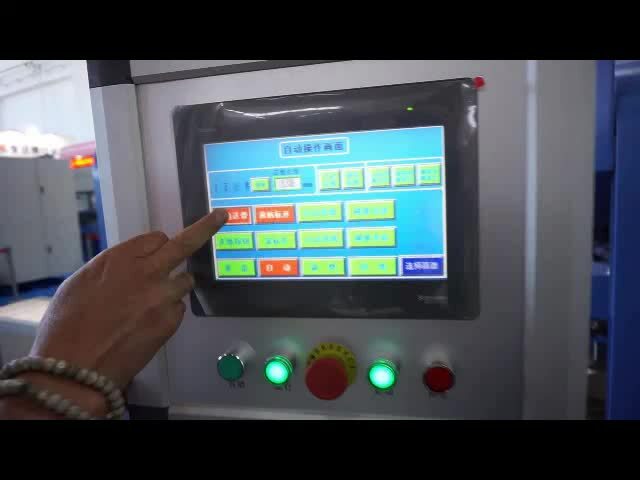 2.Touch screen to realize man-machine interface operation. 3.Automatic paper feeding technology, automatic transmission with manual packing. 5.Main body adopt whole structure design,to ensure the machine steady.